"The small business landscape is one that is always changing. What’s true of this intrepid group one year may take an unexpected turn the next. So it’s always fascinating to touch base with business owners and learn about their needs, challenges, and aspirations for their businesses." Nearly 6 in 10 small business owners use digital products as part or all of their marketing strategy. 88 percent of businesses with social media profiles use Facebook for their marketing, followed in order by LinkedIn, Twitter and Google Plus. 8 in 10 of site owners are their own webmaster. 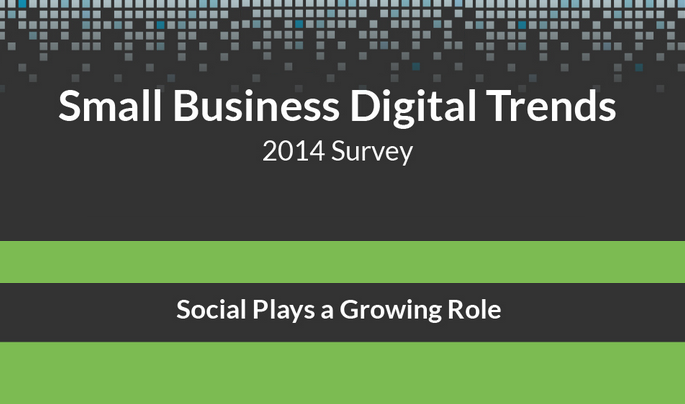 Take a look at this infographic that summarizes small business digital marketing trends in 2014.